Undeniably sleek, technologically advanced, and highly dependable, the new Toyota Camry will undoubtedly capture the interest of Calhoun drivers. Between standard advanced safety systems, strong fuel economy returns, and evocative styling, the Camry proves ideal for a wide range of drivers. 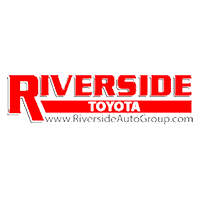 Visit Riverside Toyota near Cartersville to compare the Camry to the new Toyota Corolla, and we can then take you out on a test drive and set you up with your Camry maintenance plan! After you have had a chance to review our inventory, feel free to contact our staff with any questions you may have.